The photos show the January/Garnet/ Capricorn option. 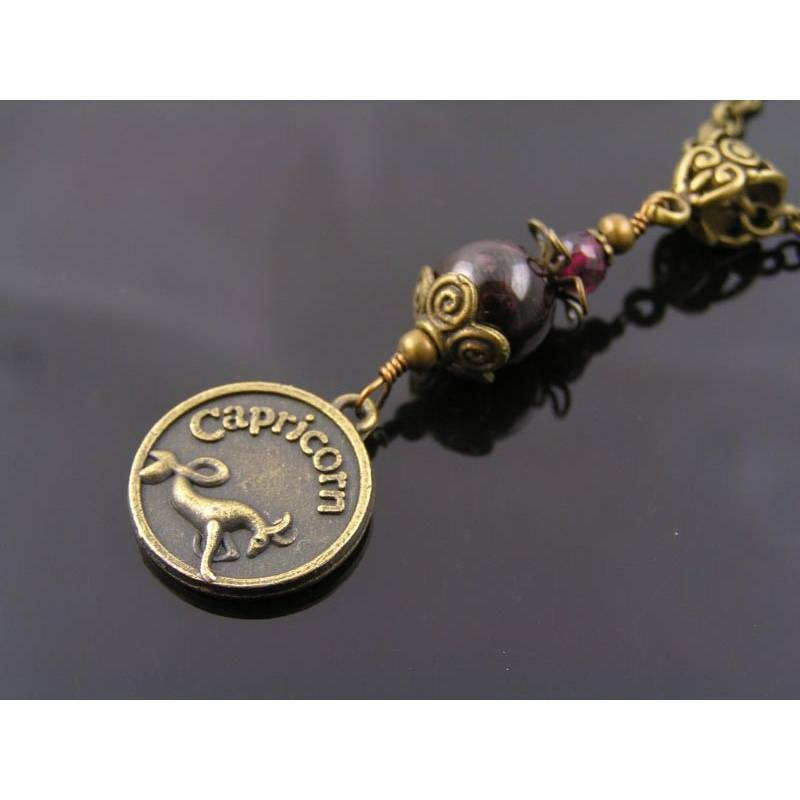 This necklace combines the birthstone for January (garnet) with the pendant for capricorn. The pendant measures 16mm in diameter and states the word 'ambitious' on the back. 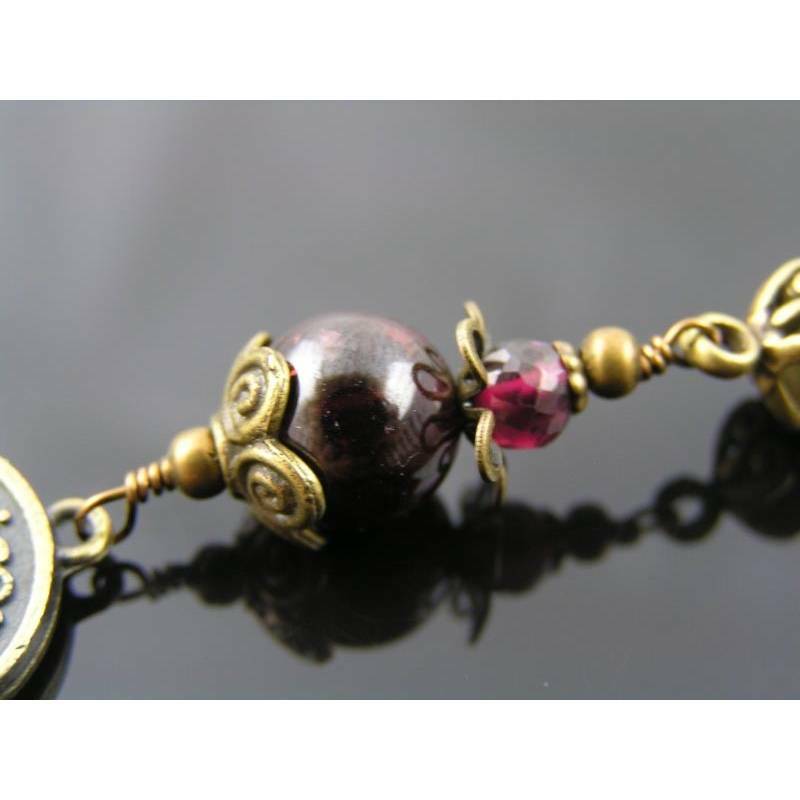 The glossy round garnet bead measures 10mm and is framed with flower bead caps. On top of that sits a 4mm faceted garnet and more bead caps. 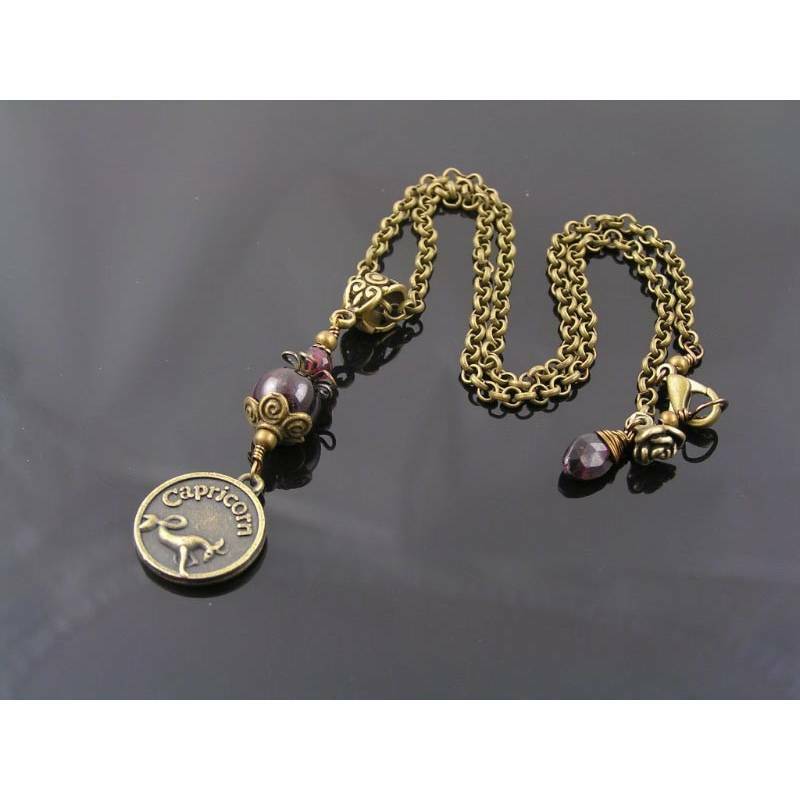 The pendant is attached to the trace chain via an ornate bail. The chain measures 42cm in length and closes with a lobster claw clasp. 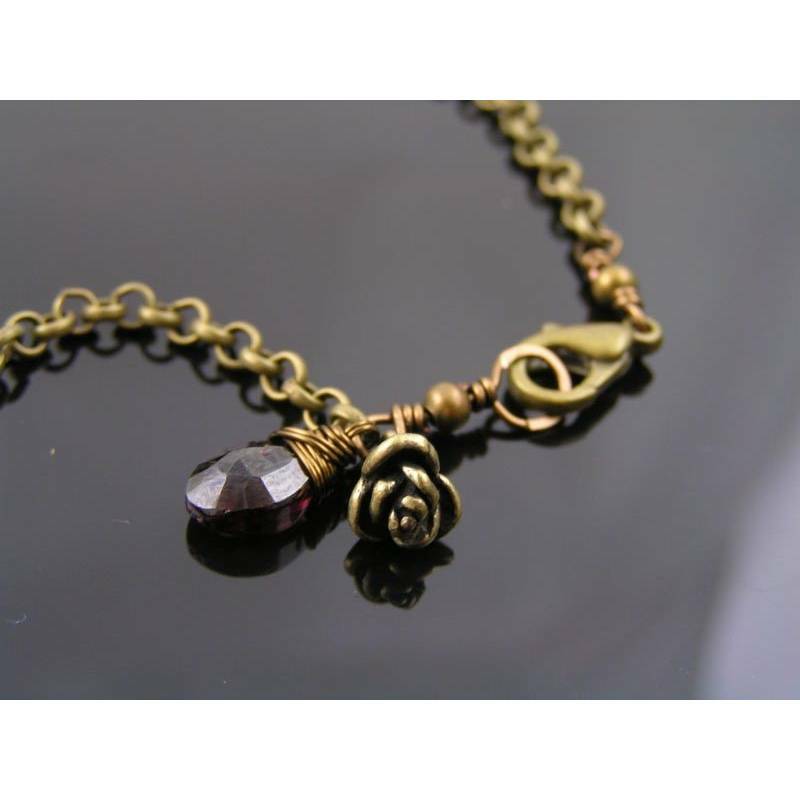 There is another faceted garnet drop and a flower charm attached opposite of the clasp. All metal is bronze finished. * For other birthstone/astrological star sign combinations, please contact me first to discuss availability and price.